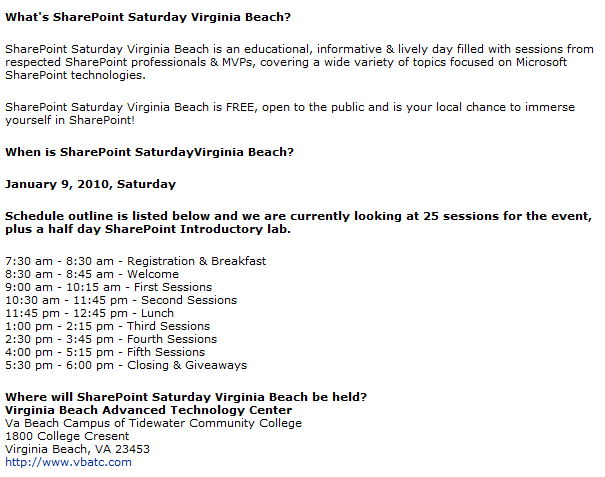 Just Added as a speaker for SharePoint Saturday Virginia Beach. 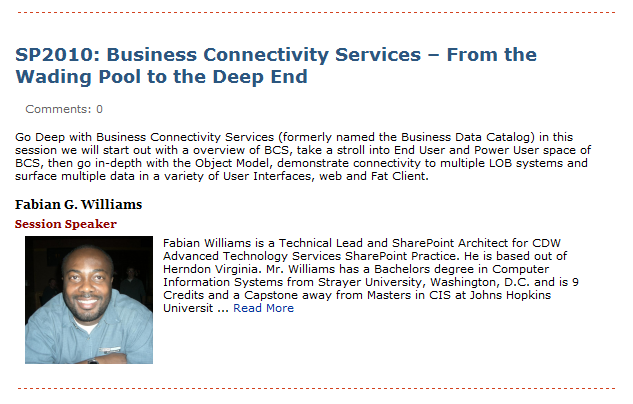 I am looking forward to sharing the podium with my distinguished SharePoint community experts and evangelists. I will be presenting on my favorite topic… Business Connectivity Service and I promise… I will not run out of time this go around. And come and learn how “Composites” will save your LIFE!